Socket Headed screws in Steel, Zinc & Stainless steel finishes for all your DIY needs. 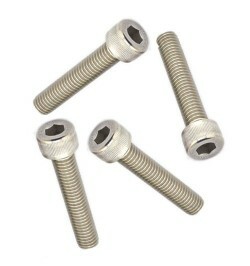 Named for their driving method (with an allen key) they are highly durable screws suitable for a wide range of uses. Available to order online today with free standard UK delivery. Allen Headed Socket Bolts There are 89 products. Socket cap screws with an allen head providing excellent fixing for your project. Available in a range of sizes, all with free standard UK delivery. Offering a smooth dome headed finish, our socket button screws provide a smart finish to any project. Order your socket button screws online today and get free standard UK delivery.